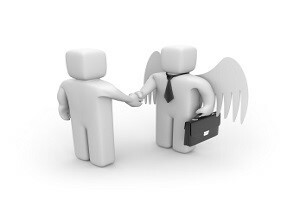 An angel investor, simply put, is a person or organization who agrees to provide the capital required for a business start-up. The agreement is usually one where the investor agrees to put up the money to get the business of the ground in exchange for either debt or equity. Angel funding is usually reserved for early-stage startups who don't require a lot of funding- the amount is generally much smaller than VC funding, but also comes with less strings attached. Securing angel funding is the dream of many business owners, but to really turn that dream into a reality you need to keep a few key tips in mind. When trying to secure angel funding, always try to identify exactly what attracted an investor to your business in the first place. Always do as much research as possible before a meeting and gear your pitch towards their individual histories. You must have also done your market validation and have a selling proposition that is very unique and a marketing plan that the investors will be intrigued by to have a hope of getting their funding. A large part of having access to the appropriate materials is researching each investor to find out what they like and dislike. When it comes to the projected rate of return for your product or business, angel investors will want to see that you've done market research before they will consider investing. During your pitch meeting, show that you not only know how big your market and potential customer base is but who the competitors are and what makes you stand out above the rest. You'll also want to show that you know what your potential customers are willing to pay for. Just because you're approaching people you don't know to invest in your business doesn't mean that you have to go far for potential investors. If your business is geared at a specific region of the country where you operate, try to find investors who understand that area for the best possible results. A large part of securing angel funding is making sure you're prepared, which in turn means making sure that all necessary information is immediately available to those who need it. Using a virtual data room is a fundraising best practice and a way to show potential investors that you are serious. And having documents organized in advance prevents tying up valuable company resources to prepare and allows you to move quicker.